We were delighted to have children’s author Anthony Garvey, author of the Gravespeakers series, visit the school today. 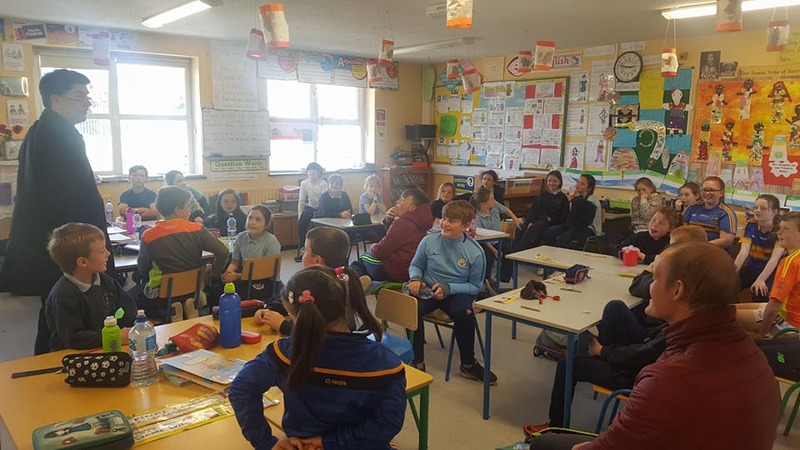 Anthony spoke to the children about his books, where his ideas came from, reading them chapters and giving lots of tips how to develop their imaginative, oral language and creative writing skills. We are sure this will stand to the children for essay writing and help them become authors in the future. Thanks to Anthony for a very enjoyable day !